Healthcare is one of the most expensive industries in the United States. For years, experts have tossed around potential cost-saving solutions, often involving the integration of technology into health facilities. Many of these solutions focus on the flashy topic of artificial intelligence. And while the potential cost savings with AI implementation are projected equate up to $150 billion annually in the health field, there are simple investments that are being overlooked that will not only help prepare health facilities for implementing AI down the road, but will provide results now. To lower costs today, organizations should start smaller, employing technologies like data analytics that can quickly detect problem areas, create efficiencies, and save big. With growing demands to reduce costs, enhance patient outcomes, and improve financial results, healthcare organizations need analytics to support financial and clinical decision making for internal – and external – reporting. 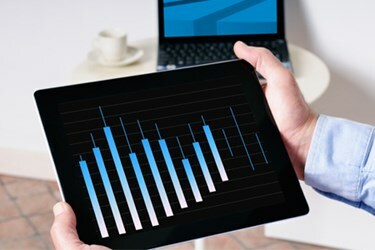 Analytics can help to lower costs, optimize treatment plans, enhance service delivery, advance performance indicators, and streamline operational processes by providing real-time insights. An analytics solution should be a fit-for-purpose platform that provides data acquisition, integration, warehousing, and analytics capabilities to evaluate an organization’s information – turning data-driven insight into action. Today’s healthcare Chief Financial Officer is focused on developing and managing innovative reimbursement models and identifying new business models to generate additional revenue growth amidst shrinking revenues. A new generation of decision support tools, working in concert with the clinical and operational systems, is required to provide point of decision insights to deliver cost-effective care paths. The hard questions CFOs face require insights across the continuum of care, and must bring together clinical, operational, and financial perspectives to drive care delivery decisions. What are the true costs associated with patient care by service line and by procedure, such as supplies, staffing, time, and overhead costs? Can I have one source of truth ERP for reporting, analytics and cost modeling? What are other drivers—beyond clinical—of costs in my risk population? Do I need tools to evaluate current and future interventions and programs to determine the impact on quality and financial outcomes? How do I measure cost and effectiveness of care outside my hospital, such as post-acute care, ambulatory care, and Rx? How do I predict performance and outcomes to determine ROI at the intervention and department level? How do I measure and monitor the effectiveness of each member of the inter-disciplinary team? Roles are also changing in healthcare finance departments, as shifts occur from managing the day-to-day finance activities (accounting, payroll, budgeting, etc.) of an organization to becoming a strategic partner in providing the right insights at the right time to support organizational decision making. The finance department is expected to understand the rhythm of the business and have a current pulse on the organization. But when you democratize the data and deliver a more self-service analytics tool, people across functions (finance, quality, operations, supply chain and strategy) can immediately access information and gain their own insights rather than relying on finance as the gatekeeper. This will reduce the time spent with the finance department as the middle man and create efficiencies for teams aiming to gather data. In turn, that means your finance team can shift their decision support resources from providing data extracts and reports to becoming analytical consultants.